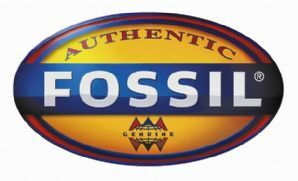 Fossil was originally founded in 1984 and was actually the first American watch company that succeeded in achieving both fashion and function within their watch styles. The brand was inspired by the classic American style and thus created a line of both casual and evening or dress watches that were highly trendy, functional, high quality and more affordable for the everyday wearer. Fossil became popular so quickly because previously the types of watches available were either aesthetically stylish but were poor quality or made solely for function and didn’t look great upon the wrist. Fossil managed to combine style and quality and yet sold their watches for prices which were very reasonable and affordable to a wide range of consumers. That said, the range of Fossil watches when first launched were considered to be high end luxury accessories and only available in the prestigious department shops. The range is far more accessible today however and Fossil has extended their line to include other accessories including handbags and sunglasses.